Under the guidance of the Wisconsin Head Start Collaboration office, a workgroup was formed to develop an alignment document that worked with both the new Head Start Early Learning Outcomes Framework (HSELOF) and the Wisconsin Model Early Learning Standards (WMELS) to meet guidelines in the new HS Performance Standards. A workshop on this document will be presented at the 2017 WHSA Annual conference. Newly released, the 2016 Head Start performance standards require that programs align school readiness goals with the Head Start Early Learning Outcomes Framework and state early learning standards (Head Start Performance Standards, 1302.102 (a), 3). In order to meet the standard and support collaboration and transition between early childhood programs, the Wisconsin Alignment was developed with a cross-sector group of professionals including Head Start, YoungStar, and early childhood professional development experts. The document was reviewed by stakeholders and will remain a living document that learns and adapts with the early childhood field. The Head Start Early Learning Outcomes Framework and the WI Model Early Learning Standards, 4th Edition provide educators with strategies to promote individual development with each child and each classroom. Based on a specific set of Guiding Principles that are evidence-based in nature, these principles highlight key roles that families have in their children’s development, the belief that all children are individuals and develop within the context of their communities, and the importance of using developmentally appropriate practices to support the development of the whole child. 5. Cognition and General Knowledge. 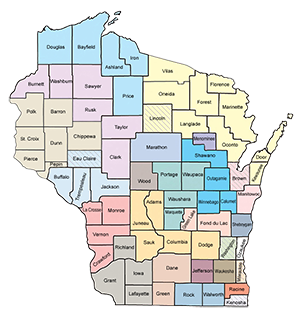 There are several areas where there is not clear alignment between the Head Start Early Learning Outcomes Framework and the Wisconsin Model Early Learning Standards. These are noted with a white box and **.